■ The Intercept’s podcast Deconstructed interviews U.S. Rep. Rashida (“Impeach the motherf__ker”) Tlaib. ■ … and it’s hurting blind vendors who work on federal property in Illinois. ■ The Daily Beast: Hardly any Democrat from a district Trump won has heard from him in weeks. ■ 2. 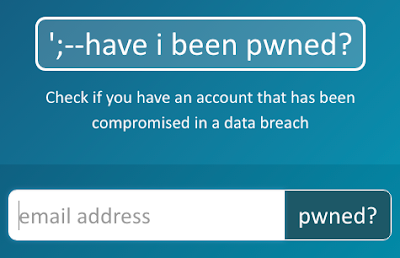 Check to see if your password has ever appeared in a breach. ■ A security flaw in the online game Fortnight Fortnite exposed players’ accounts—allowing some of them to be recorded secretly. ‘Oh hell, I’ll do capsules.’ The Beachwood Reporter’s Steve Rhodes delivers one of the best summaries of the second Chicago Tribune editorial board forum with candidates for Chicago mayor. ■ The Trib series wraps up—live on Facebook—at 1 p.m. today. ■ Hundreds turned out last night to hear five black candidates for mayor discuss education, housing, policing and the economy. ■ Cook County Clerk Dorothy Brown’s chance of making the mayoral ballot is looking like a stretch. ■ Early voting for mayor could begin Jan. 28. ■ Ex-federal prosecutor Patrick M. Collins holds hope the Burke scandal can trigger a #metoo movement for Chicago corruption. ■ Chicago’s inspector general says on-duty Chicago cops served as chauffeurs and babysitters for a supervisor’s child. Ouch. A suburban man with a license to own and conceal his gun faces a misdemeanor charge after accidentally shooting himself in the leg at an Outback Steakhouse. ■ Gov. Pritzker was set today to sign a bill requiring firearm dealers be licensed by Illinois State Police. ■ Applying for a job with the State of Illinois? It can’t ask for your salary history anymore. Meat menace. An international commission says humanity can improve nutrition worldwide and head off global environmental catastrophe by cutting red meat consumption by (in North America) 84 percent. ■ RXBar is recalling many of its protein bars because they may contain unlabeled peanuts. If you’re reading Chicago Public Square for free each day, great. 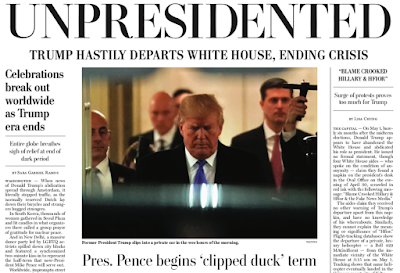 If you’d like to help ensure it keeps coming—this thing takes real time and money to prepare and deliver—your support in the form of a few cents per issue is always welcome. Thanks … to The Chicago Moms blog for ranking Chicago Public Square among “Chicago-based podcasts … ready to help fight mommy brain.” Hear here. ■ … to Aaron Barnhart, who noted a misspelling above of the name of the game Fortnite. … and to Sharon Rosenblum, who noted the age of the Deadspin item linked above.